﻿Paul Matadeen currently lives in Atlanta, Georgia working as a freelance news editor for CNN. 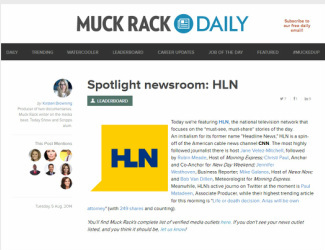 Prior to that assignment, Paul worked as an associate producer for HLN's Jane Velez-Mitchell show after freelancing for HLN's News Now show where he innovated, planned & executed social media videos reaching tens of thousands of viewers! 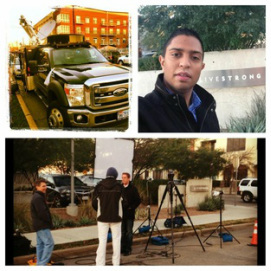 During the Jodi Arias & Trayvon Martin trials, Paul wrote & produced attention-grabbing packages and promos for the network's continuing coverage. Since early May 2010, Paul Matadeen was one of the Fox News Channel's lead producers on the ground coordinating and covering the details of the oil disaster in Louisiana. Matadeen and FNC photographer Joe Vasquez were among the first crews to discover oil in the marsh lands in Southern Louisiana. In November 2009, Paul Matadeen served as the Fox News Channel's lead field producer for the entirety of FNC's Fort Hood massacre breaking news coverage. Within hours of the stand off, Matadeen kept in constant contact with victims families, investigators at both Fort Hood and in Washington, D.C. and was in regular cell phone contact with Major Nidal Hassan's apartment manager and attorney. For 7 days up to and including the 2012 Presidential Election, Paul Matadeen served as producer for Sky News Arabia's field coverage in Las Vegas. Matadeen utilized his extensive social and political contacts in the Las Vegas area to help the Abu Dhabi based crew create reports on the economic and social issues that heavily influenced the electorate in a city that's been described by experts as the epicenter of the American economic downturn. Within hours of Lance Armstrong's ground-shattering interview on Oprah Winfrey's OWN network about doping -- Paul Matadeen exclusively booked and interviewed Mark McKinnon, a current board member of Armstrong's Livestrong Foundation. McKinnon shared a candid and memorable reaction to Armstrong's actions. The exclusive reaction aired for days on the Fox News Channel distinguishing FNC's coverage of the historic event.